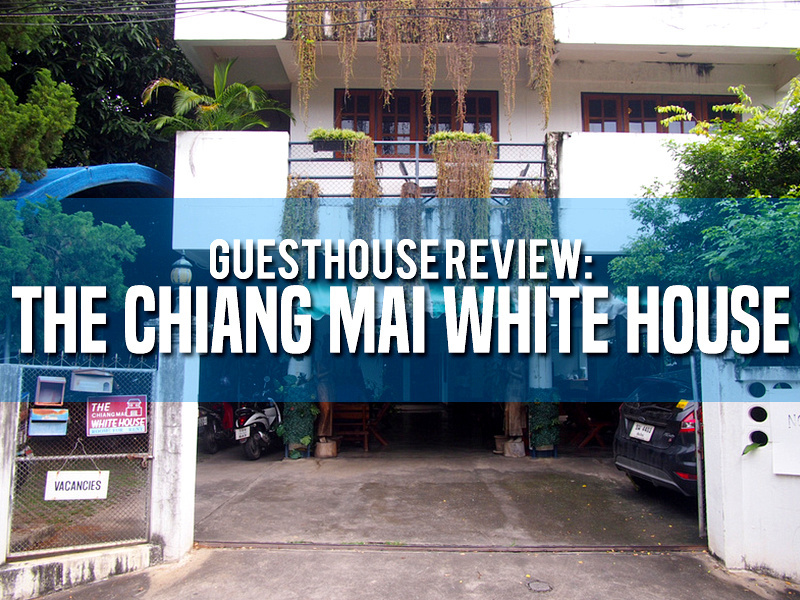 I stayed at The Chiang Mai White House in Chiang Mai, Thailand. I walked in off the street and booked a room, and you can also book online. 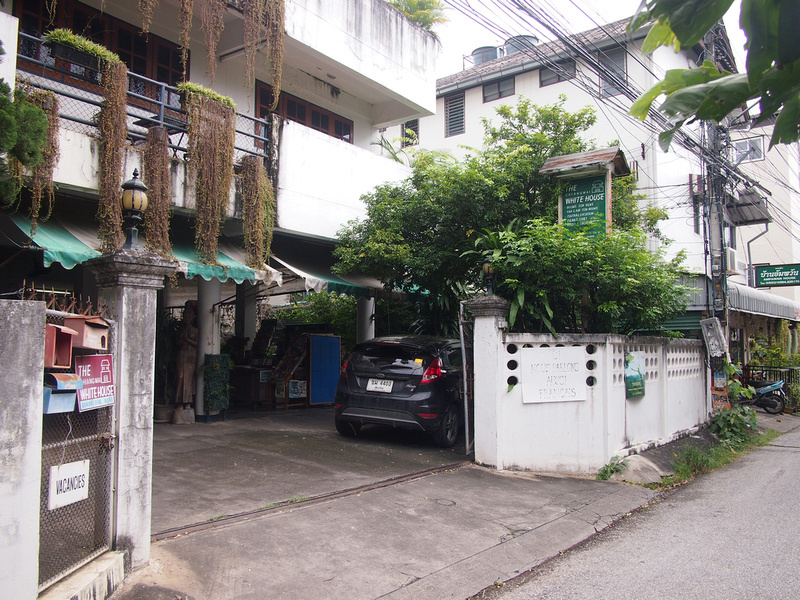 The guest house is in Soi 5 of Rachadamnoen Road, near Tapae Gate (the east gate, and most busy area of the old city). Soi 5 is a narrow lane so it’s a peaceful street to stay on. I like this area, and I have stayed in this laneway before at Ampawan House, which is next door. The Chiang Mai White House is in a big white house so that is self explanatory enough. It’s a budget guesthouse run by a friendly Frenchman, and the other staff I met were cool as well. I stayed a fan room with a private bathroom. I got allocated a twin room which was quite spacious, and the beds were comfortable. There were windows on either side of the room, so that made the room feel extra bright and spacious. 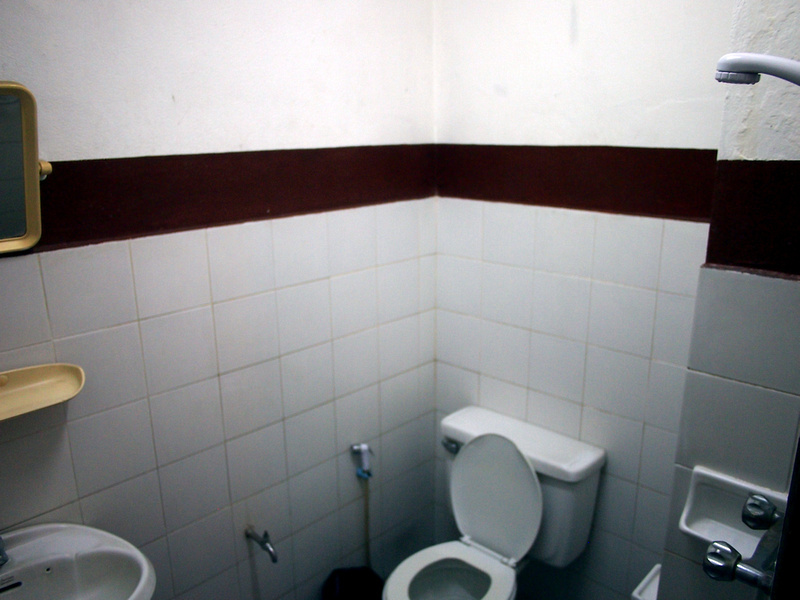 A typical guesthouse bathroom with an instant hot water unit and toilet sharing the shower area. 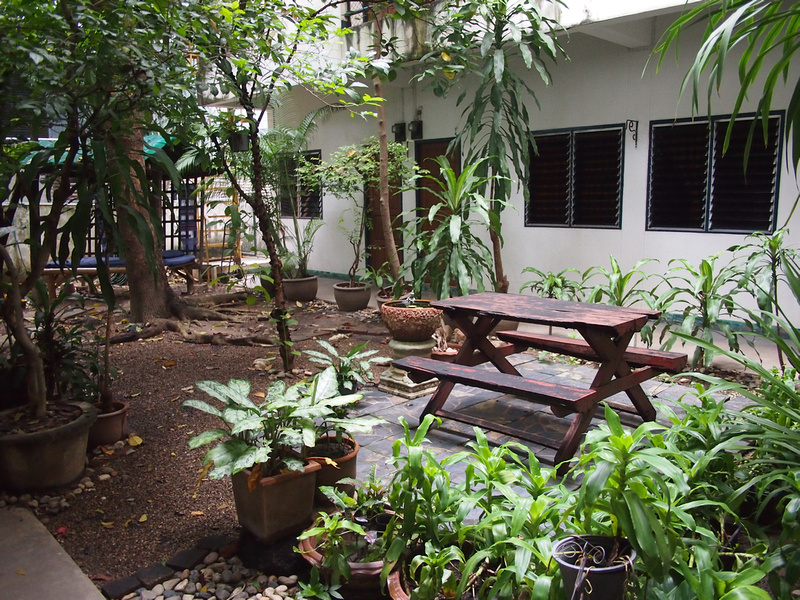 The guesthouse is set in a lush garden, and there is seating in the garden or under cover in the main building. 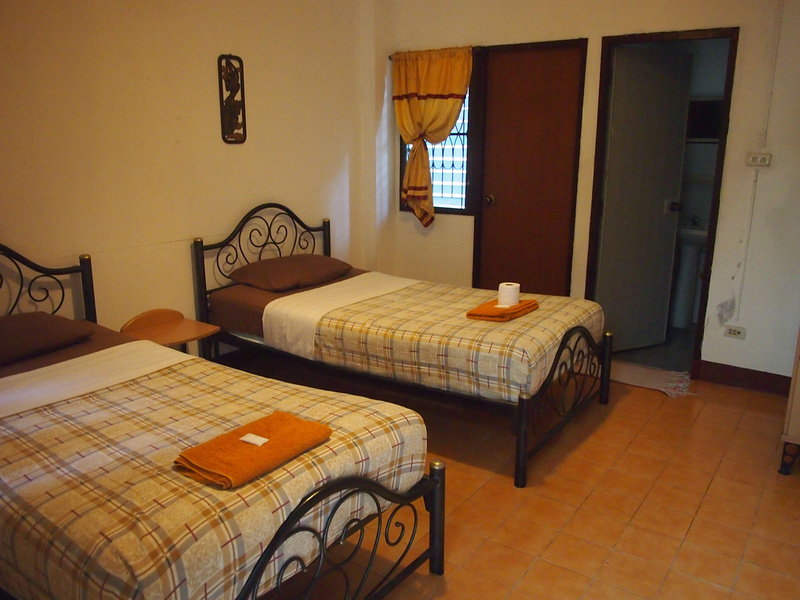 There is free wifi which is available in the main area and rooms. There is also food available if you prefer to eat at the guesthouse. Overall this was a nice place to stay if you are just looking for a budget guesthouse. The is in the old city area, which is a good area to stay for new visitors. 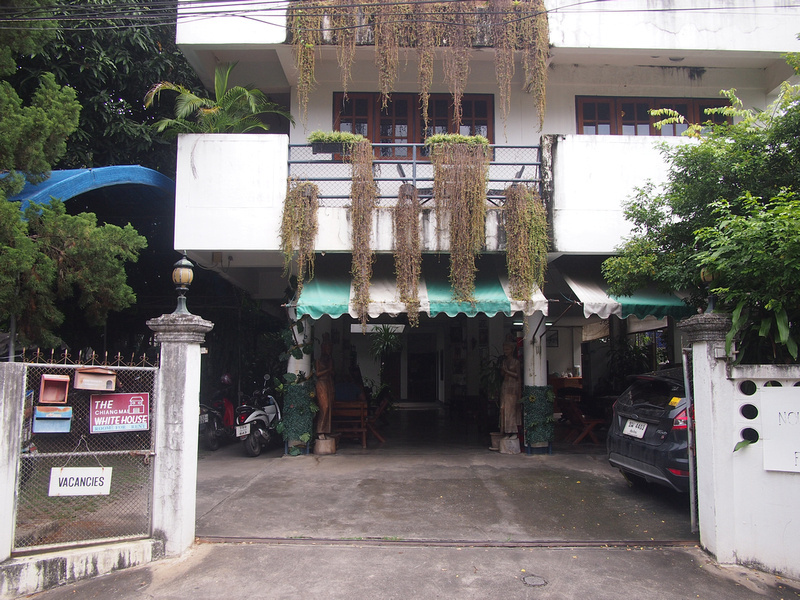 Book the The Chiang Mai White House or search for more hotels in Chiang Mai.